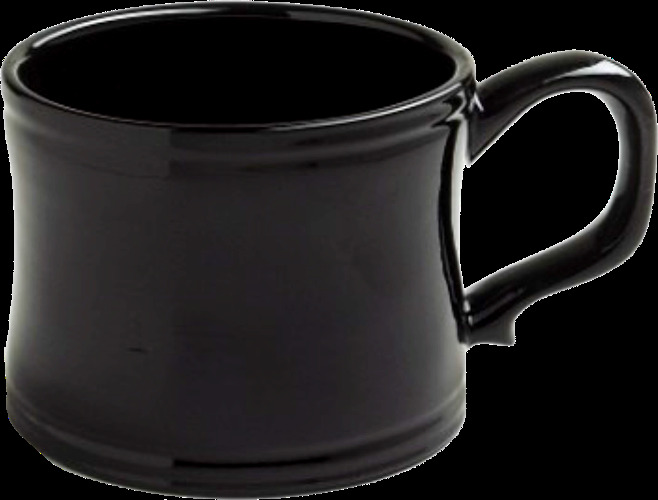 This solid black shave mug was designed with the "no frills" shaver in mind. It's larger capacity hold a super shave soap with plenty of room left over to work up mountains of lather. Extra large size handle will accommodate a real man's fingers. Col Conk 3 3/4 oz soap included (scents will vary). Boxed.